Dropbox is great, but it only syncs what you put in your Dropbox folder. 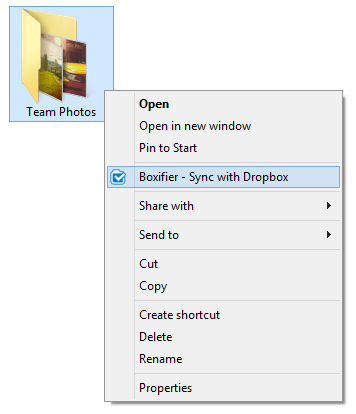 Boxifier makes Dropbox sync any folder you want. 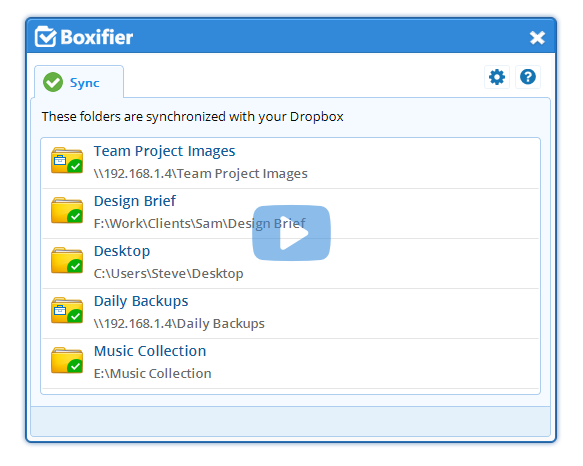 Boxifier is a file synchronization software that uses innovative technology to synchronize your data with your Dropbox account. Boxifier can sync folders to and from internal & external drives, network shares, network drives / NAS, file servers with your Dropbox account. Boxifier allows you to designate specific folders anywhere on your drive, that will be synced or backed up to your Dropbox account. Designed by people for people. Simply right click the folder that you want to sync. That's all. Really. 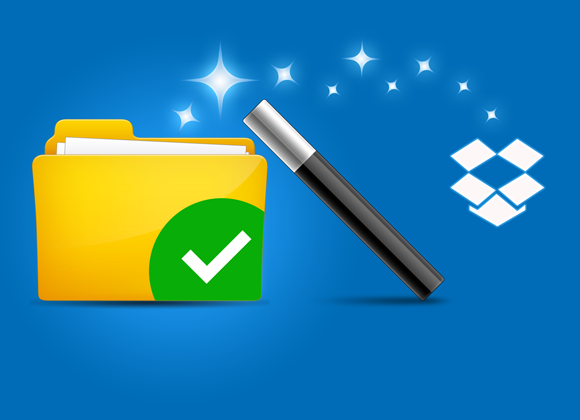 Changes that you make to files sync automatically to Dropbox after the initial setup. You don't need to be a tech guru to use Boxifier. 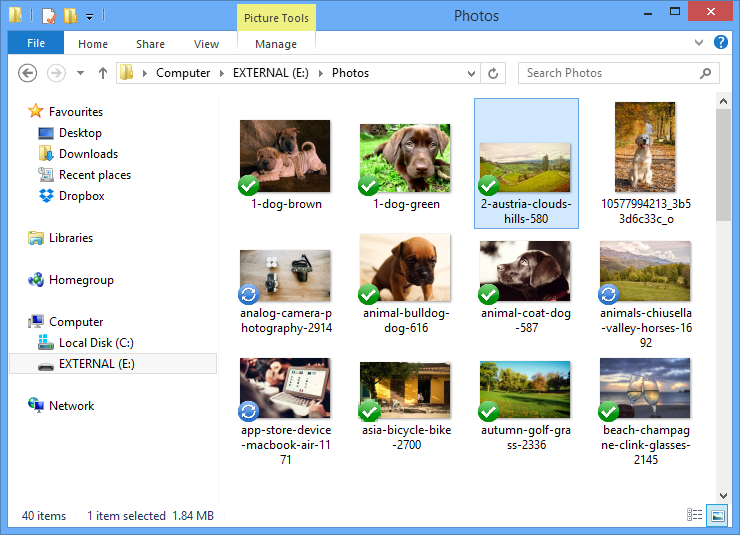 If your grandma wants to sync photos from her external drive, please let her know about Boxifier. She will thank you later! Ever wished you could backup your 500 GB portable hard drive to your 1TB Dropbox account but didn't have enough space on your computer? Let's make it possible. Boxifier sends your data from your external drive directly to your Dropbox account, without copying it to the Dropbox folder on your computer. Why use space twice when you don't have to? Unplugged your external drive? No problem. 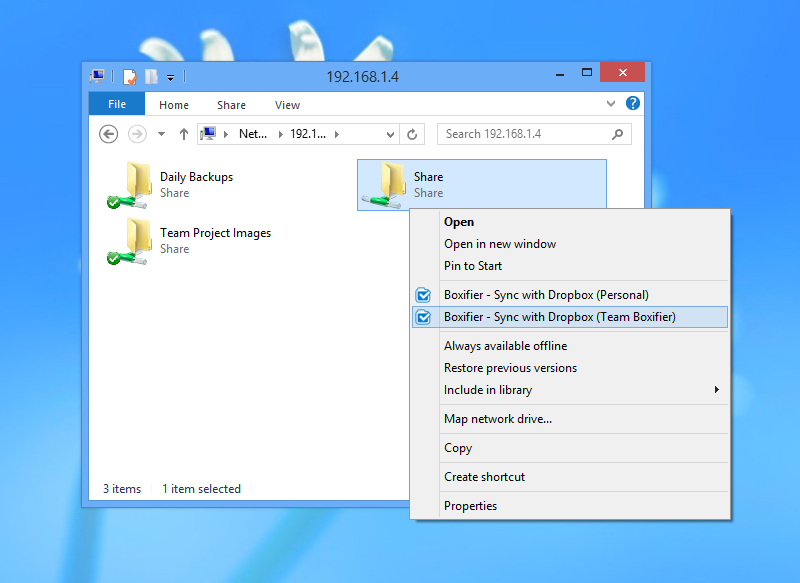 If you disconnect your external drive Boxifier will make sure the files you synced from that drive won't get deleted from your Dropbox account. Want to backup folders from your local network to Dropbox? Now you can. Have some folder on your local or company network that you would like to access when you're not in the office? Now you can. Want to use the space in your Dropbox account to backup your NAS? Boxifier can help you make use of that space. Boxifier makes it possible for you to combine your legacy file storage with the power of Dropbox Business. 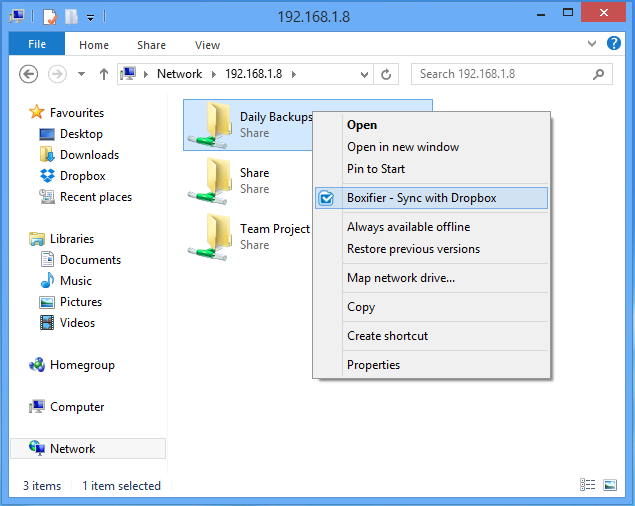 You can still access your network shares like you used to, while also having them synced to Dropbox. Boxifier works with both personal and business accounts at the same time. No need to sacrifice one for the other. Get the familiar Dropbox experience outside of the Dropbox folder. You still get to see which files are synced and which are not. Just look for the green and blue icons you already know. Right click to share files or view previous versions. Boxified folders look and act just like your Dropbox folder. The basic edition of Boxifier is free for non-commercial usage. 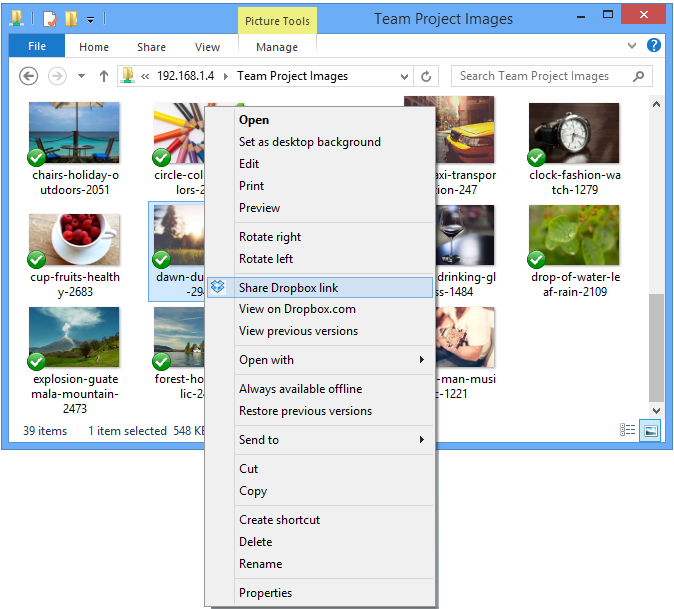 It supports syncing one local folder (up to 2GB) outside of Dropbox. If you need to sync more folders or folders from USB/external/removable drives or network drives you can upgrade to a premium edition. In the basic edition of Boxifier all premium features are available for you to try for 30 minutes sessions at any time. This way you can see if Boxifier really works before deciding to upgrade. We believe you should purchase a license only if you are completely satisfied with the product. That's how software should work. I have more questions. Where do I get answers? Check the Boxifier FAQ page for more information. Also check out the Help platform, our knowledge base. Want to know when Boxifier for Mac will be released and other news? Talk to other people using Boxifier. Check out the Boxifier Forums.